We’ve been busy in April. On April 16 we presented about our study, with some preliminary findings at the 4th European Conference for Social Work Research at the Free University of Bozen – Bolzano in Italy. 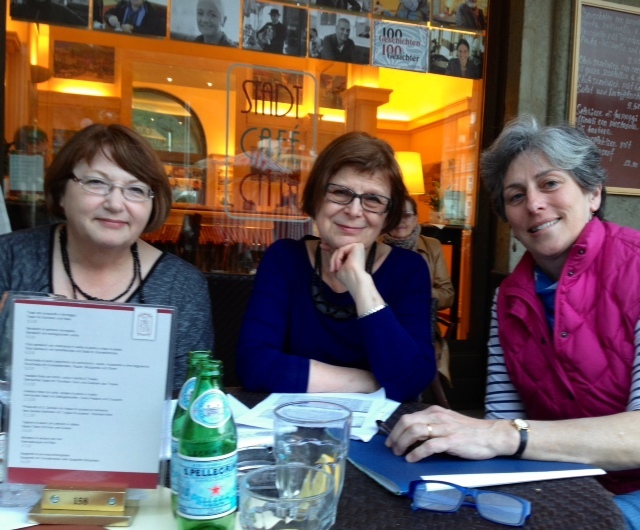 Here’s a photo of three of the team planning the next steps (from the left Liz, Synnove and Gillian. We have enjoyed the opportunity to talk with researchers, practitioners, educators and students in several countries now and we’ll meet more in Melbourne in July. What are your top two challenges for supervision? What do you think should be researched? What supervisor qualities contribute to/ promote truly reflective supervision? Who defines supervision in various contexts and countries?